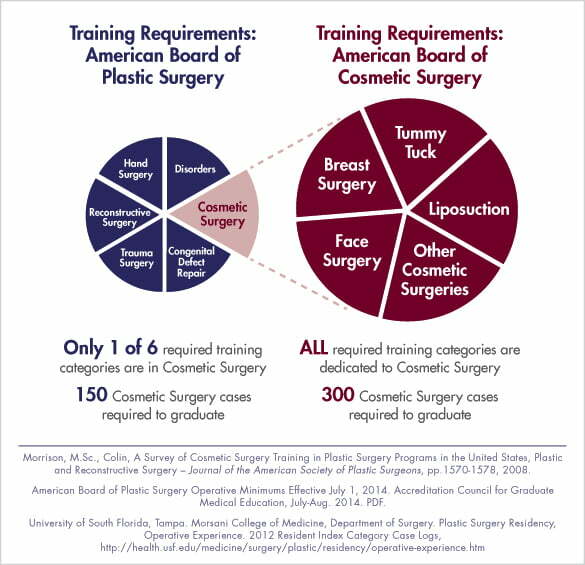 Physicians who become board certified in plastic surgery must complete a general surgery residency plus another 2 years in plastic surgery. Residency programs in plastic surgery may include cosmetic surgery as a portion of a surgeon’s training, but typically do not include training on every cosmetic procedure. Therefore the title “board certified plastic surgeon” indicates a certain level training and experience with respect to plastic surgery, but it does not indicate the same thing with respect to cosmetic surgery, as the residency training required to become board certified in plastic surgery may not include training with respect to many common cosmetic procedures.² Nor does it tell you that the doctor has more or less cosmetic surgery training than a physician board certified in another specialty. 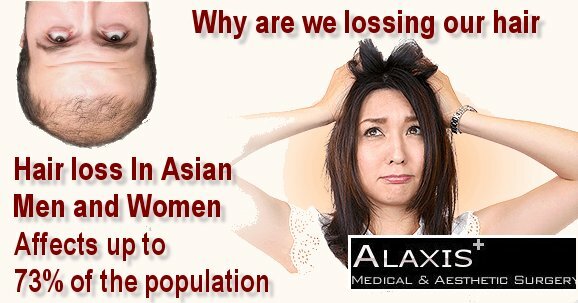 There are currently no residency programs in the United States devoted exclusively to cosmetic surgery. 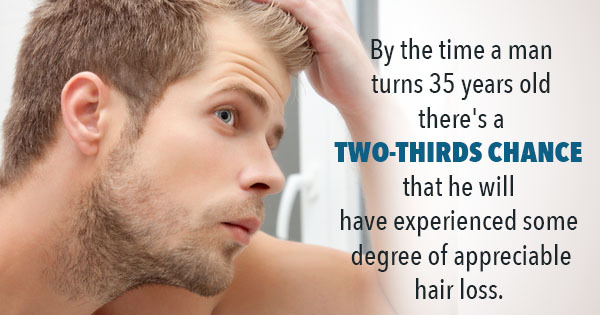 Because of this, cosmetic surgeons primarily obtain training and experience after completing their residency training. This is done by completing a post-residency fellowship. The training, experience, and knowledge required to become a board certified cosmetic surgeon reflects specialization above and beyond what it takes to become board certified in a related discipline, such as plastic surgery. Each surgeon who is board certified by the American Board of Cosmetic Surgery has completed a 1 year fellowship training exclusively in cosmetic surgery. During this fellowship, surgeons receive thorough training in all cosmetic surgery procedures of the face, breast, and body, plus non-surgical cosmetic treatments, performing a minimum of 300 individual cosmetic surgery procedures. This fellowship training is in addition to completing a 3-5 year residency program in a related discipline. Because any licensed physician can legally perform cosmetic surgery, regardless of how they received cosmetic surgery training, it is extremely important to do your research when choosing a cosmetic surgeon. 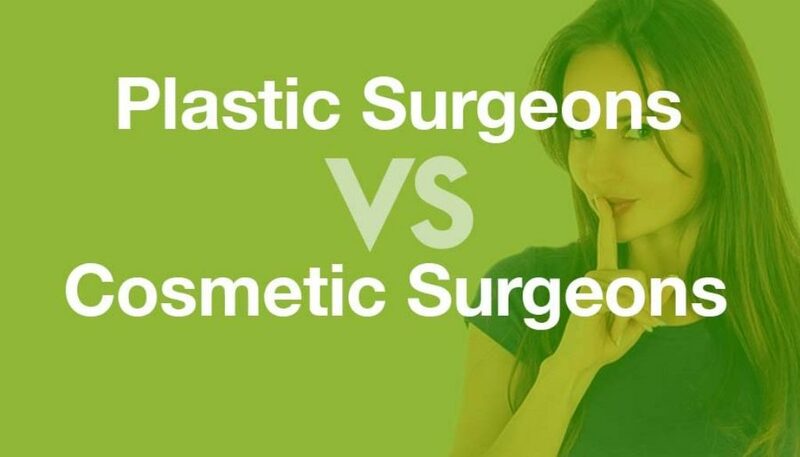 To find the most qualified doctor for a specific cosmetic procedure, you must compare doctors’ overall (residency and post-residency) training, experience, and proven competence with respect to that specific cosmetic procedure. Always check there experience and certification.